A record number of women were elected to Congress last year, and two congresswomen are showing their power by shining a spotlight on critical women’s issues. “As a Black mother and grandmother, Black maternal health is deeply personal," Adams told "Good Morning America" in a statement. "My daughter had serious complications with her pregnancies, and if not for the quality prenatal care she received, the outcome could have been different. 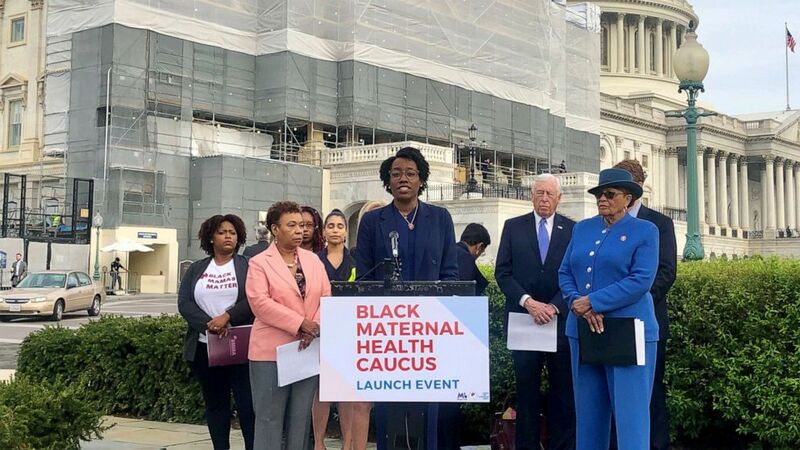 Unfortunately, countless Black women do not have access to quality pre- and post-natal care or culturally-competent services." "It was out of mother’s love, just an instinct," said Cecil Eledge. (Office of Rep. Lauren Underwood ) Rep. Lauren Underwood, D-Ill.,speaks at the launch of the Black Maternal Health Caucus in Washington. D.C.